Topas Ecolodge is located about 18km from Sapa town, located in Ban Lech Village, Thanh Kim Commune, Sapa District, Lao Cai Province. This is a new resort built in rustic wooden style with only one bedroom and is made of white granite locally. Topas Ecolodge is now the only one of its kind in Vietnam. 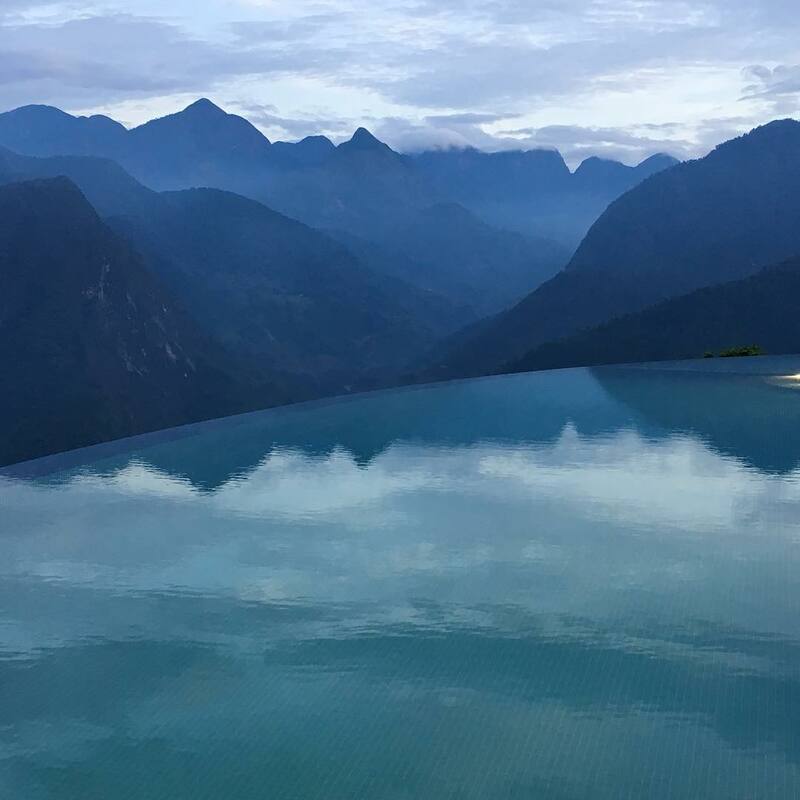 It has a perfect location – situated atop two cone formed hills, set deep in the spectacular Sapa valley of northern Vietnam. Topas Ecolodge is also one of the impressive stopover of Sapa. Here, you can relax in nature, admire the scenery, take part in activities such as biking or immersed in the pool “on the mountain peek”. In addition to familiar destinations such as Cat Cat, Tao Chai, Ta Van, or the beautiful homestay that young people know – this year, “North Europe Village” Topas Ecolodge in Sapa is definitely the ideal destination, bring You experience a lot of fun. That is immersed in the pool “on the mountain peek”. 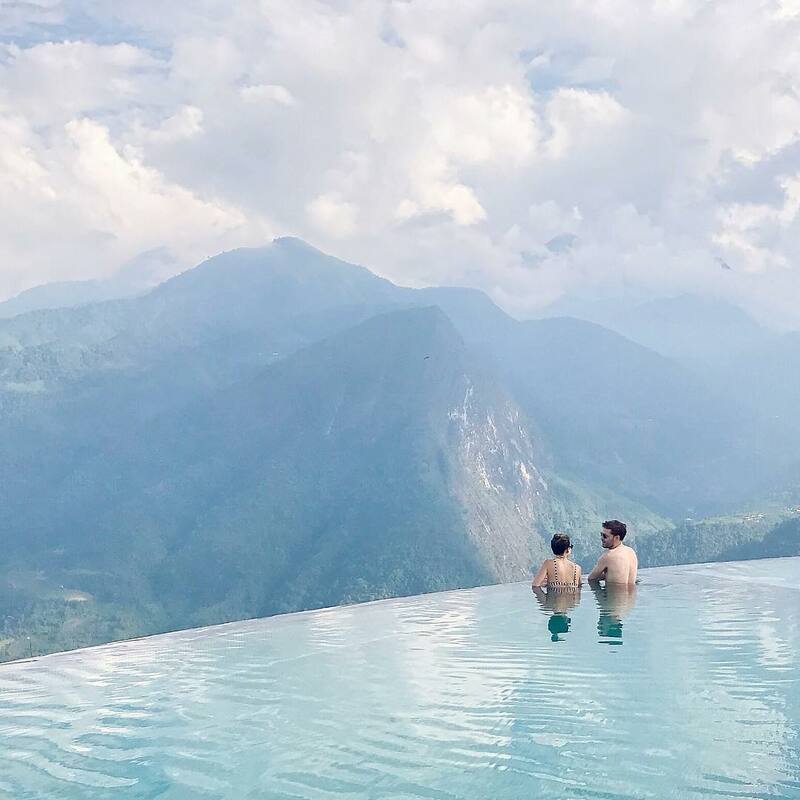 These are not ordinary pools but mountain pools. Here you can not only swim, soak in the cool water and still be able to look around from above hight. 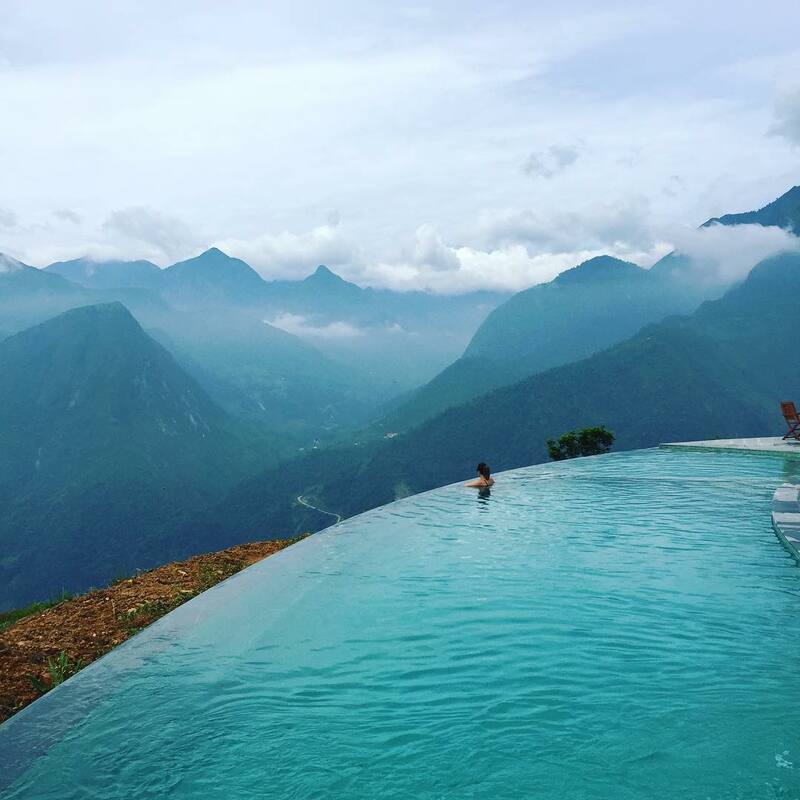 Infinity swimming pool and views down the valley with majestic mountains. 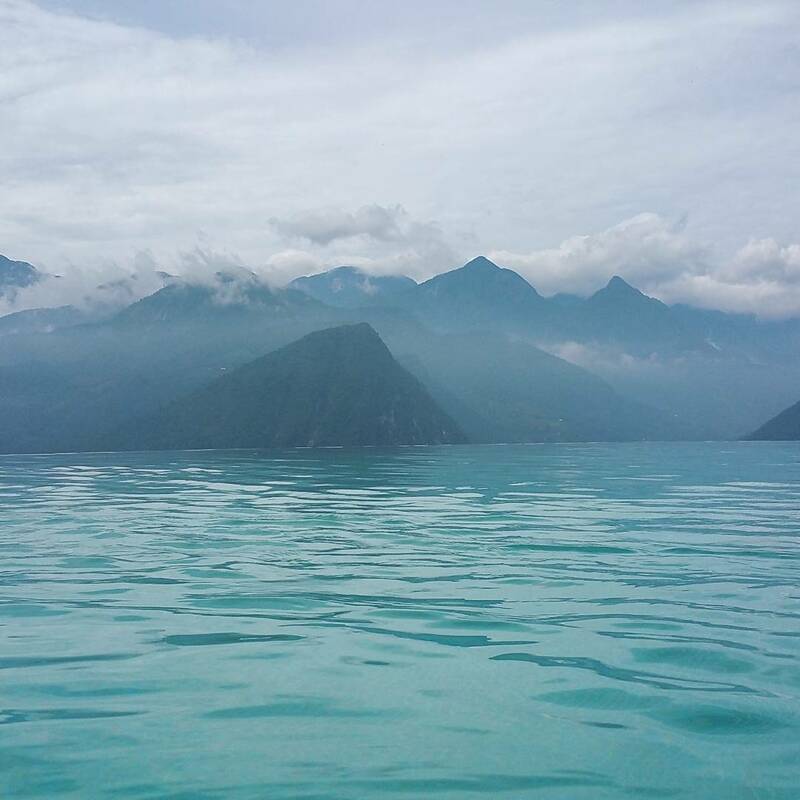 Drop yourself in the pool with one side of the sky, one side of the abyss, the feeling will definitely be extremely interesting. 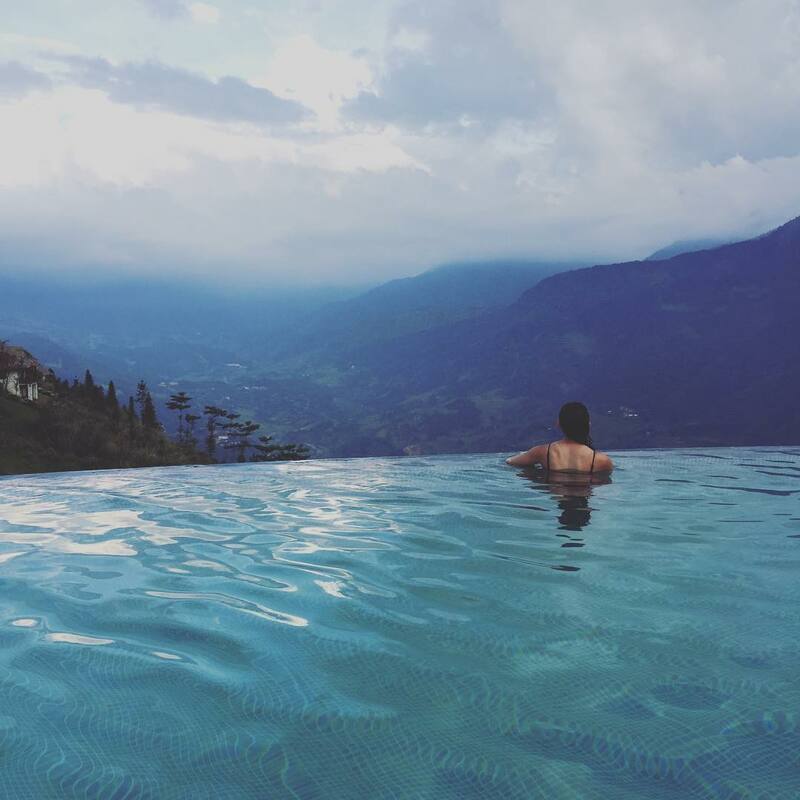 On sunny days, soak up the cool water at the infinity pool, you will feel so pleasurable. From here you can look far away from the clouds and mountains, watching the entire Muong Hoa valley with terraces rice terraces are yellow, looking far as a silk carpet brilliant. You can fully experience these feelings in this our tour: Hanoi – Sapa – Tops Ecolodge & Bai Tu Long. I belive that: This will be a memorable trip in your life.